PURPLE!! Purple is the color of nobility and kings. It is a color that is associated with heroism and bravery as in The Purple Heart medal. Purple is a rare color in nature but nothing is more beautiful than a purple passionfruit flower or ripe grapes on the vine! Did you know that purple is also associated with the supernatural and the cosmos? Holographic Purple Hex Glitter shimmers with all the colors of the rainbow and has a metallic sheen. Use for glitter nail art and glitter craft projects. 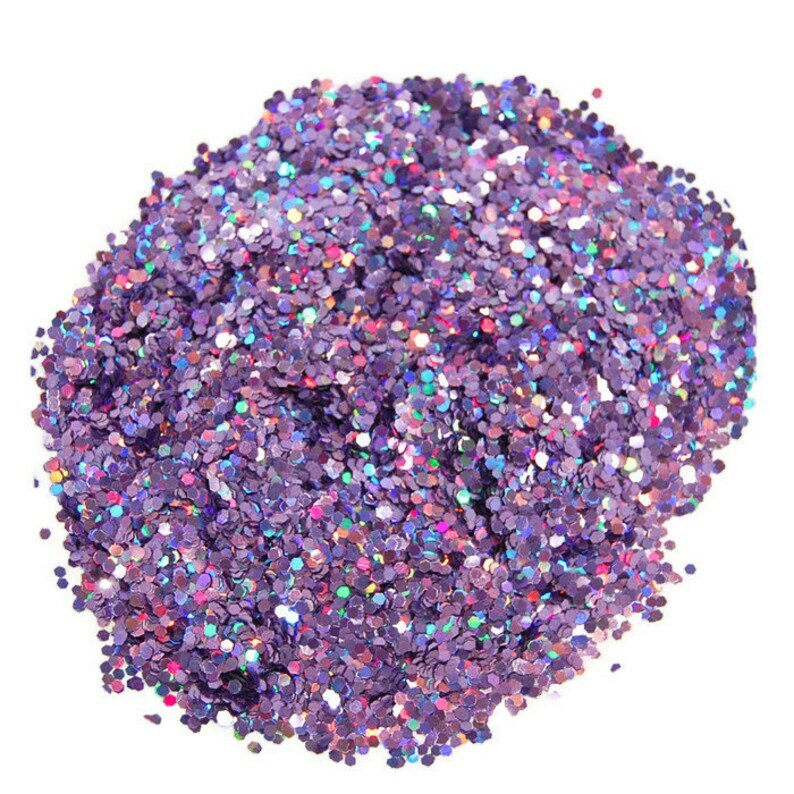 This gorgeous purple glitter is perfect for all your crafting needs. Combine with smaller hex glitter for a fabulous effect! Fast Shipping!! Beautiful, Just as Pictured! Thank you so much! !